We had a very pleasant 2 night stay. Very clean and well taken care of park. The staff is very helpful and pleasant. We had visitors and they did make them register and charge a very small fee which was not a problem it made us feel the park is very secure and aware of what is going on in their park. It is in a very convienient location for visiting Lake Erie islands. Thank you for a pleasant weekend. The bathrooms toward the back of the grounds were nicer than the ones closer to the office. Lots of activities provided. Tons of permanent sites. Nice large park on the shores of Lake Erie. Would definitely stay there again. Courteous staff, perfect spot for the Erie Islands. We love this park. It is very well maintained. We were there for a harsh rain/wind storm. The next day the crew were fixing roads, etc. No pot holes! No mud. Very level and clean. We had w/e (50). Wow! 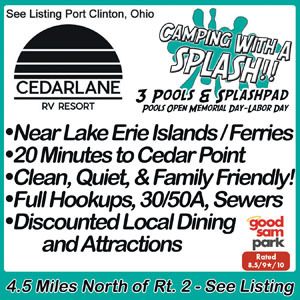 Lake Erie Islands, Sandusky & Cedar Point! 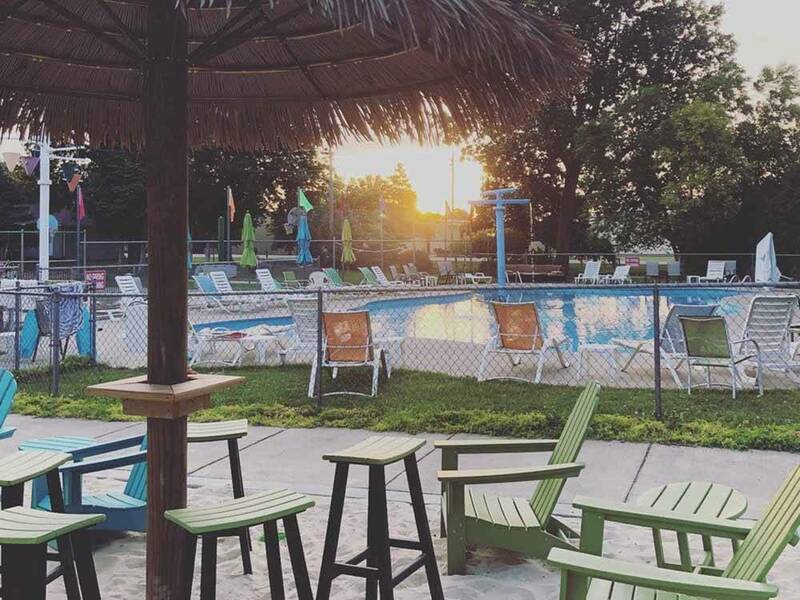 Family Fun is so close, when you stay with us @ Cedarlane RV Resort. 20 minutes To Cedar Point! Catch a Ferry to the Islands, or spend time at Island Adventures Family Fun Center- great for all ages! Come and Enjoy!